(Virginian-Pilot) A naval flight officer who pleaded guilty last month to violating the federal Espionage Act will serve six years in confinement. Lt. Cmdr. 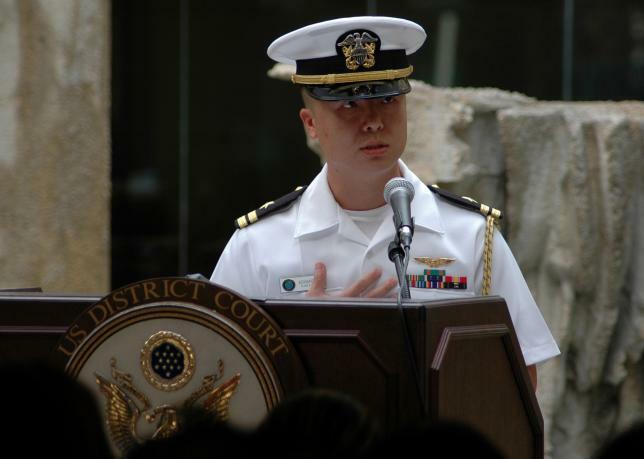 Edward C. Lin, 40, also will be dismissed from the Navy under the sentence issued late Friday by military judge Cmdr. Robert Monahan, who deliberated for four hours. Monahan sentenced Lin to nine years, but under a pretrial agreement he will serve six, receive credit for the more than 600 days he was held before trial and have three years suspended. Lin was arrested in September 2015 in Hawaii where he was planning to board a plane to China to meet a woman he met online. He initially faced espionage charges under the Uniform Code of Military Justice. But in May he pleaded guilty to two less onerous charges — under the Espionage Act — that he deliberately disclosed classified information. He also pleaded guilty to charges involving failure to report his foreign contacts, twice mishandling classified information and twice making false statements about his travel plans. Prosecutors dropped other charges, including adultery and prostitution. A U.S. Navy officer who pleaded guilty to revealing military secrets and other crimes will serve six years behind bars. A judge sentenced Lt. Cmdr. Edward C. Lin to nine years Friday, but as part of a plea deal, he will serve six years. He has 646 days of time served, meaning ultimately, he will serve another four years. However, if Lin violates the terms of his plea agreement, he could end up serving all nine years of the sentence. Lin was also dismissed from the Navy and will lose all pay allowance. Lin, 40, pleaded guilty to mishandling classified information, communicating national defense information, failing to report foreign contacts — which is which is mandatory for officers — and lying about where he was going on leave. 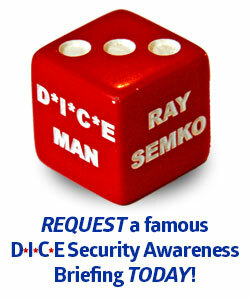 His sentencing hearing began Thursday. In court Thursday, NCIS and FBI agents took the stand, telling the judge about their interaction with Lin. NCIS says it found emails Lin sent to Taiwanese officials. An NCIS agent said evidence was found that Lin attached U.S. military documents in those emails and at one point, went to Taiwan to meet the country’s Navy Vice Admiral. . . .
. . . In 2013, Lin told Navy officials he was taking leave to head back home to Alexandria, Virginia, when he actually traveled to Taiwan to visit family. Lin said he again claimed Alexandria as his leave destination in 2015 — when he was actually to go to China to see a girl he met online. FBI agents say Lin admitted to sharing information with several women who had political connections to Taiwan and China. He even paid one woman $43,000. Lin told agents he sent the money because he was romantically involved with her. Lin also shared information with a woman who ended up being an undercover FBI agent. Agents testified that he gave the agent 38 classified items in five meetings with the undercover agent. . . . . Federal officials began investigating Lin in early 2014 based on an FBI tip that he may have been sharing sensitive information with foreign agents, NCIS Special Agent Chris Mitchum told the court on Thursday. The Navy and the Department of Justice then mounted a joint NCIS/FBI investigation into Lin’s foreign contacts with a focus on the year he worked in Washington, D.C. Lin served on the staff of Vice Adm. Joseph Mulloy, then the Assistant Secretary of the Navy for Financial Management and Comptroller. Lin had previously served as Mulloy’s aide during a tour at U.S. Pacific Fleet in from mid-2007 to early 2009. During the investigation, the FBI and NCIS had combed through Lin’s personal and Navy emails and found he had developed a close relationship with Cmdr. Justin Kao of the Taiwanese Navy, a military officer attached to the Taipei Economic and Cultural Representative Office (TECRO) in the United States – Taiwan’s embassy equivalent in the U.S.
Lin did not report his relationship with Kao or another TECRO military attaché Cmdr. Victor Hsu, required by his position. Lin had also developed a relationship with Janice Chen, an American who worked for the Taiwanese Democratic Progressive Party (DPP) and was a registered foreign agent. As part of his plea, Lin admitted to sending Chen emails on his takes on international news stories that included analysis based on classified operational plans he learned of while serving on the carrier USS Dwight D. Eisenhower (CVN-69). “This is something you would probably never see in the published literature, but it’s pretty close to ground truth,” Lin wrote Chen in a July 22, 2017 email according to prosecutors. In 2013 Lin arranged a meeting with the head of the Taiwanese Navy, Vice Adm. Richard Chen Yeong-kang, through his TECRO contacts, lied about his destination on his leave request and did not report the encounter. The start of Lin’s investigation began shortly after he reported to one of the Navy’s most secretive units – the Special Projects Squadron Two “Wizards” (VPU-2) – based at Marine Corps Air Base Kaneohe, Hawaii. The Wizards fly specialized versions of the service’s P-3C Orion and P-8A Poseidon aircraft used for signals and electronic intelligence gathering. Retired Cmdr. Paul Crawford, Lin’s commander at VPU-2, said Lin deployed several times with the unit while he was under investigation.